If Vatican Banquet Hall’s beautiful décor, hand-made furnishings, and mesmerizing LED lights take your breath away, then our venue’s delicious in-house event catering services will leave you speechless. Employing Southern California’s most experienced chefs, servers, and culinary managers, Vatican provides world-class cuisine for every event, from wedding receptions to birthday parties to corporate awards banquets. Though Mediterranean and Middle Eastern food are our specialty, Vatican’s state-of-the-art kitchen ensures that almost any request can be met, while our extensive network of specialty vendors will provide unique additions—chocolate fondue fountains, sushi bars, s’mores stations, and more!—for your party at a fraction of their original price. The perfect way to keep hunger at bay until dinner, passed tray service is typically served throughout cocktail hour and often accompanies champagne or wine. From perfectly-portioned crab cakes to stuffed Shiitake mushrooms to a bevy of international cheeses, our scrumptious Hors D’oeuvres are circulated by Vatican’s professional, experienced wait staff. An ideal way to feed large parties quickly and efficiently, Vatican’s buffet-style dining is often chosen for wedding receptions, business conferences, grand social gatherings, and charitable functions. Perfect for picky eaters, vegetarians, and those with allergies, this dining style allows guests to choose only the dishes they want. Seconds, anyone? Always popular at festive ethnic weddings, family-style dining serves large platters of pre-selected dishes to each table and lets guests choose how much to serve themselves! Not only does this option encourage community, conversation, and congeniality around the table, it also negates the need for constant walking or standing in line at the buffet. Does your reception or event require an air of sophistication? For our full-service fine dining experience, choose from hundreds of delicious options to create your custom menu, then sit back while our polished, highly-trained waitstaff delivers and removes course after course. The ultimate in luxury, Vatican’s full-service dining never fails to impress. We are now offering delicious take-out so you can enjoy our tasty American & Middle Eastern cuisine outside of our venue! Just call at least a day in advance so our chefs can readily prepare your home cooked meal. Our take-out catering is perfect for family gatherings or work events, you and your guests won’t be able to resist our mouth-watering delicacies! 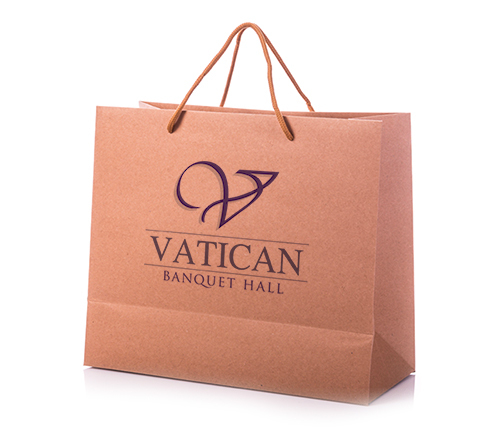 We are even offering free delivery to those within a 3-mile radius of Vatican Banquet Hall and you are more than welcome to pick up your order as well. Call now so you can enjoy your delicious meal tomorrow! Because Vatican handles the entire catering process—from planning to preparation to service to breakdown—in-house, we are able to maintain the highest standards in kitchen cleanliness, food quality, and server attentiveness. For years, we have been providing outstanding catering for events of all types and sizes, from large wedding receptions to intimate parties, and our experience and flexibility is unmatched by other catering companies. What’s more, our team of culinary experts will work hand-in-hand with you to develop the perfect menu for your important event, and Vatican’s impeccable service staff will make sure that you and your guests are treated like royalty. For more information about our internationally-inspired catering services, contact Vatican Banquet Hall today!